The current cryptocurrency market sentiment looks anything but promising. Bitcoin’s price decline is dragging all other currencies and assets with it, which is only to be expected. Surprisingly, Dogecoin’s price is far more stable than any other offering amid this bearish pressure. The meme coin is slowly maturing in major ways, by the look of things. These past two weeks have been rather interesting for all cryptocurrencies. Despite some extended positive momentum, pretty much all recent gains have been wiped out once again. One exception in this regard is the Dogecoin price, as it has lost far less value compared to all other competitors on the market. A surprising show of stability, especially for a currency most people still consider to be a meme first and foremost. 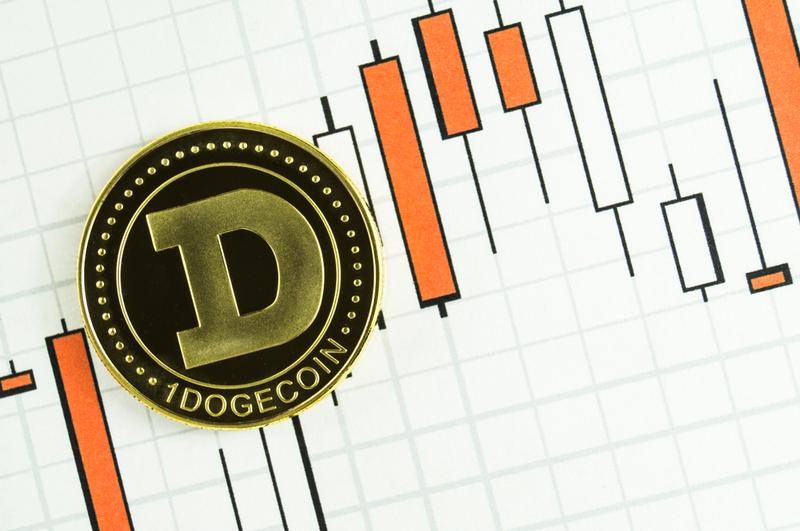 With a modest decline of 4.51% over the past 24 hours, the Dogecoin price is successfully bucking the onslaught across the cryptocurrency markets. This is partially because DOGE has gained a lot of value over Bitcoin in the past few hours, even though the 9.3% increase isn’t sufficient to negate all USD losses either. Even so, it shows this crypto remains very popular despite the current market conditions. There are a few good reasons as to why Dogecoin is the center of attention right now. Developers are working on a bridge between Dogecoin and ERC20 tokens. That solution will attempt to exchange DOGE and ERC20 tokens in a decentralized manner without involving any intermediaries. The testing of this new “bridge” is going according to plan, as can be seen from the video below. Second, there is the petition for Amazon to add Dogecoin. While the chances of the petition actually working are low – Amazon doesn’t care too much about cryptocurrencies without the lack of industry regulation – the PR stunt is bringing DOGE to the spotlight and providing its price with support. More specifically, it appears over 11,000 signatures have been collected so far, which is rather impressive. The result of reaching the full 15,000 signatures may not matter much in the end, but it does show that a lot of people care about the currency, which is rather heartwarming. Last but not least, Dogecoin has a lot of active network addresses, especially when compared to the rest of the industry. In fact, Dogecoin ranked third in overall active network addresses over the past 24 hours, trailing both Bitcoin and Ethereum. The meme coin successfully beats Litecoin, Bitcoin Cash, NEO, and EOS, to name just a few. All of these positive trends show Dogecoin is far from dead. While it is not the most “appealing” cryptocurrency for speculators, it has one of the bigger communities one can find in all of crypto. The enthusiasm surrounding DOGE cannot be underestimated, and the current Dogecoin price trend seems to confirm the project is in a relatively good place as of right now.Do you think DOGE’s price will remain steady? Is DOGE going to the moon after this bearish wave is over? Let us know in the comment section below.